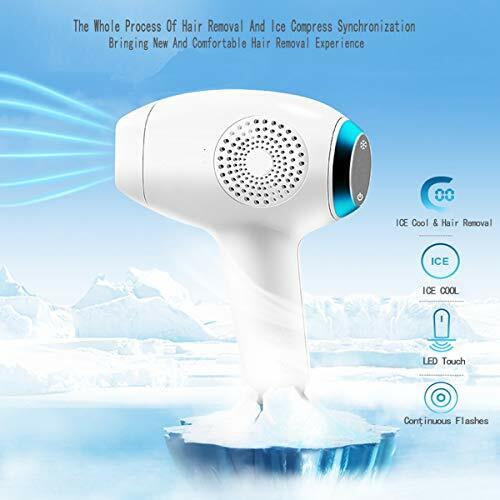 ICE Experience - Ice sense of care technology, unique ice panels, better ice experience, more painless hair removal experience, ice repair, calm the skin, bid farewell to swelling and pain. Five Treatment Levels - Five adjustable energy levels settings to ensure gentle but effective treatment. You can adjust the level according to the skin area and hair growth. 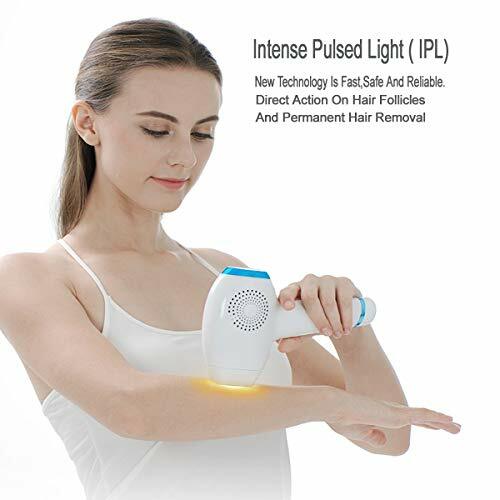 Used correctly, IPL treatment is comfortable and gentle to use even on sensitive skin and sensitive body area. 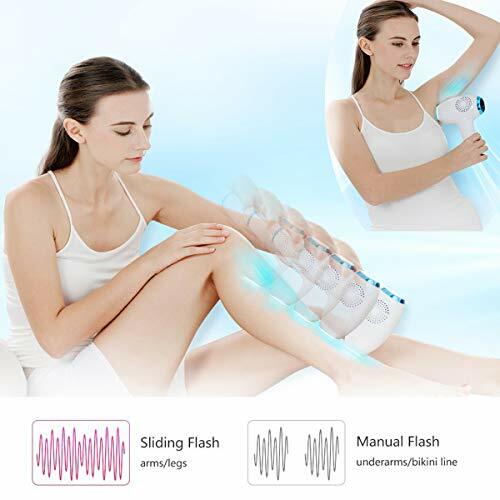 Auto Flash / Intermittent Flash - Auto Flash Suitable for legs, arms and other large areas of hair removal. 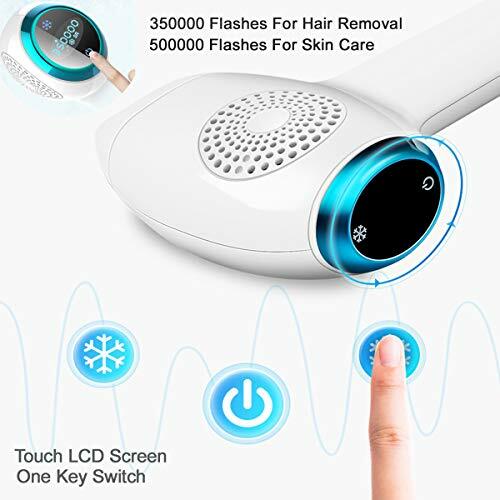 Intermittent Flash suitable for underarms, bikini and other small area hair removal. Long press can achieve automatic continuous light. Fast and Safety Treatments - Over 90% hair ingrown in just 8 weeks. 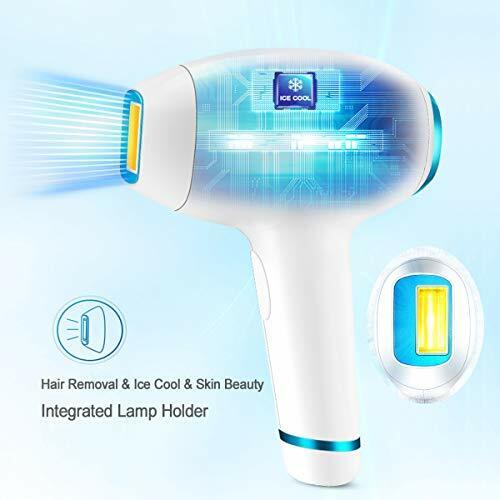 After 4-6 month usage, the hair is visibly less and hair-growth is prevented, achieving a long-lasting and efficient hair-removal experience. (Please read the instruction manual carefully before using the device) Durable - Automatically hit the fight, 4.5cm2 area upgrade, full body treatments with 350,000 flashes, to meet the fast need. 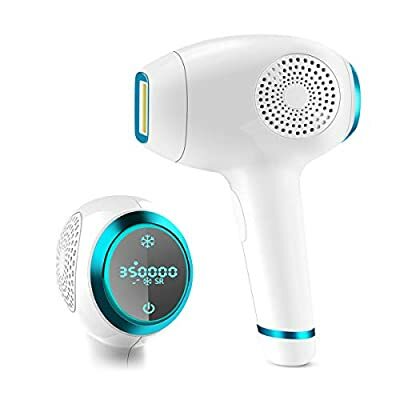 Ideal for full body hair removal, including arms, underarms, bikini line, legs, back, face,and chest.